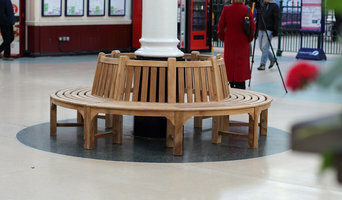 It started with a bench 45 years ago when our chairman Robert Bowden was 27. Now 72 years old that same bench has had 45 years loyal service outside our showroom and never seen a drop of furniture oil. That first bench has evolved into a very select collection of beautiful teak furniture. Our furniture is the most important testament to our standards of excellence and each piece is finished to perfection. We’re naturally innovative and masters of our craft constantly bringing new ideas to our traditional techniques – and we do all this because we care. Hi and welcome to The Timber Merchants we supply high-quality wood. The wood we supply is Western Red Cedar Slats, Cedar Cladding Balau decking, Iroko Decking and much more high-quality wood. 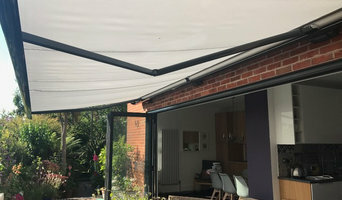 We are manufacturers and suppliers of a British manufactured quality umbrella system. 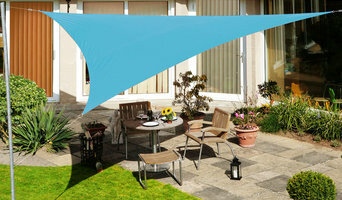 Our large parasols are available in a wide range of sizes and colours. Ideal for domestic and commercial applications. 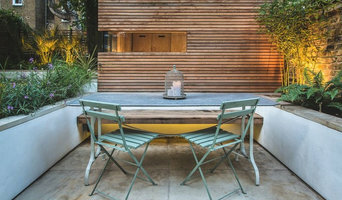 Creative garden lighting offers a wonderful opportunity to extend your existing living space to include the outdoors. Ornamental Garden Lighting works closely with you to create wonderful visual effects to enhance your garden. Venetian stone, terrace planters, pots, columns and Italian inspired terrace designs. Our hand crafted designs include a technique which is a hybrid interpretation of a Venetian lime based plastering technique & incorporates lightweight concrete and finished with our unique wax polishes. Griffin Glasshouses creates beautiful bespoke glasshouses for discerning gardeners in the UK and internationally. We are a family business with more than 50 years experience in the industry and delight in bringing each individual customer’s dream glasshouse to life. Our customers greatly value our attention to detail and the personal service we provide at every stage of the process to individually design and build the perfect glasshouse. Whatever you have in mind and wherever you are in your planning process we are always happy to share our advice and experience with you. Take a look at our Glasshouse Collections on our website to see lots of examples of our beautiful glasshouses and learn more about why they are the perfect choice for gardeners. Kebur Garden Materials is a leading supplier of quality paving and garden landscaping materials in Hampshire, Surrey and surrounding areas. We are an independent family-run business established for over sixty years and pride ourselves in our quality of service. 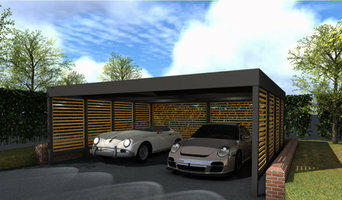 Our friendly team offer advice on projects of all sizes and we are renowned for our prompt delivery. Our extensive range of paving, fencing, decking and aggregates is on show in our indoor and outdoor show areas, which are open seven days a week. We also offer an installation service for paving, fencing and other landscaping projects. What garden supplies can I get from Itchen Abbas, Hampshire garden centres and landscaping retailers? If you’re going for a complete overhaul of your garden, then you’ll probably need soil, turf, large plants, trees, decking or patio materials to make a start. Wholesale garden suppliers in Itchen Abbas, Hampshire will be your best option for all the basic garden supplies, so get in touch with them to discuss your needs. Once you have the foundations of your garden sorted, then the adorning and decorating can start, which is where Itchen Abbas, Hampshire garden centres will become your new favourite haunt. From seeds, small plants, garden ornaments and plant pots to the bigger structures such as pergolas, greenhouses, garden furniture, water features and planters, garden centres will offer a wonderful range of garden supplies and accessories to help you lade your garden with lovelies. Find specialistItchen Abbas, Hampshire garden suppliers if you’d like more uncommon garden features, like fire pits, garden sculptures, raised flower beds or special garden lighting. You can even find vintage garden accessories from some retailers if you want the shabby chic, eclectic garden look. Garden suppliers and landscape supply professionals in Itchen Abbas, Hampshire will be able to offer advice on the suitability of certain products for your garden design and possibly assist with the installation and maintenance of your garden supplies and features. You may wish to involve a garden contractor or landscaper in your garden supply choices, as they will also have a clear idea of what materials and items are best. They may also be able to recommend Itchen Abbas, Hampshire garden centres in your area that they have worked with before. Here are some related professionals and vendors to complement the work of garden & landscape supplies: Landscape Contractors, Main Contractors, Landscape Architects & Garden Designers. Find landscape and garden supplies on Houzz. Search the Houzz Professionals section for Itchen Abbas, Hampshire garden centres and garden suppliers. Browse photos and read reviews. You can also explore full-service Itchen Abbas, Hampshire landscape architects and garden contractors.